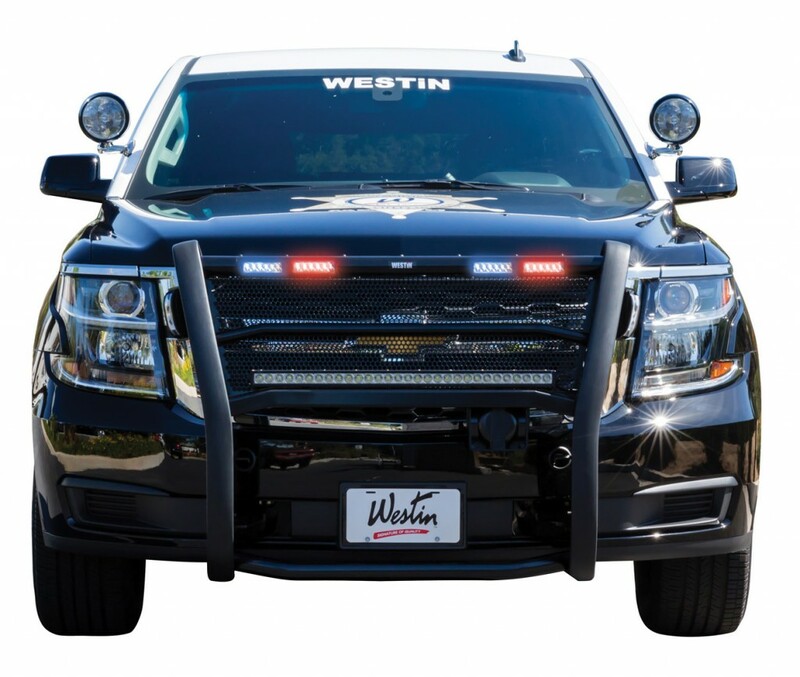 Westin Public Safety | Gonneville Inc.
Westin’s Public Safety Push Bumper Elite is made of heavy duty HRPO steel with 4 gauge uprights featuring 2-3/4” wide rubber strips. 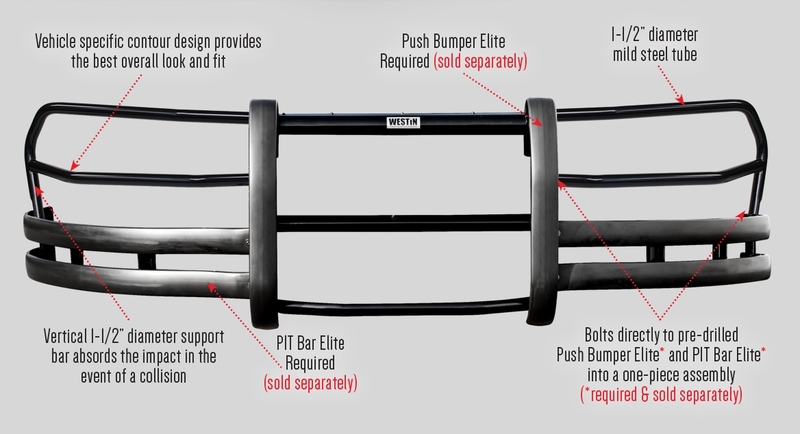 The Push Bumper Elite is designed with maximum safety features and options in mind. 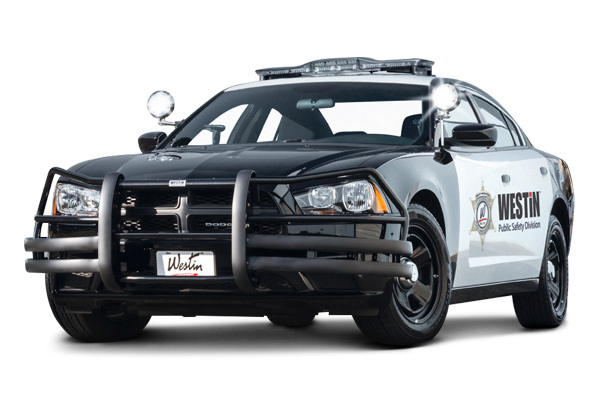 It offers customization for your agency’s specific needs and provides the best in strength, durability, and protection. 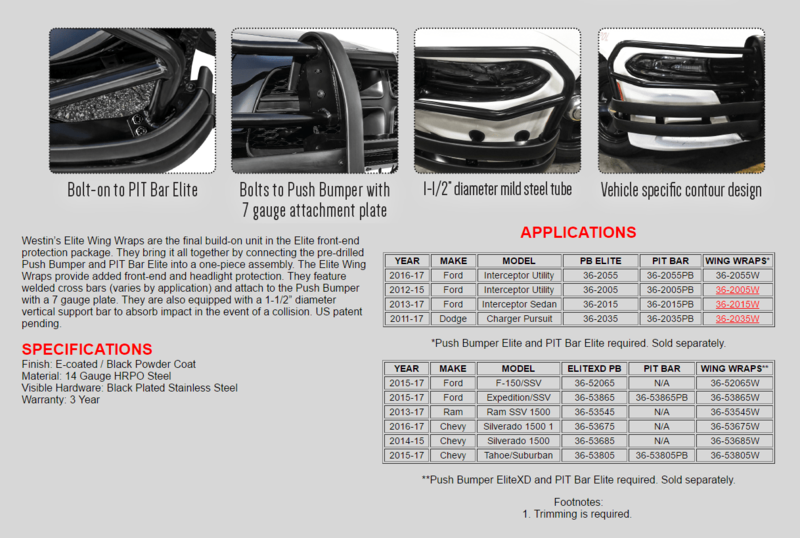 Choose a Light Channel to complete your Push Bumper Elite front-end protection unit, available in solid (no light openings), 2, 3 or 4 Light options. 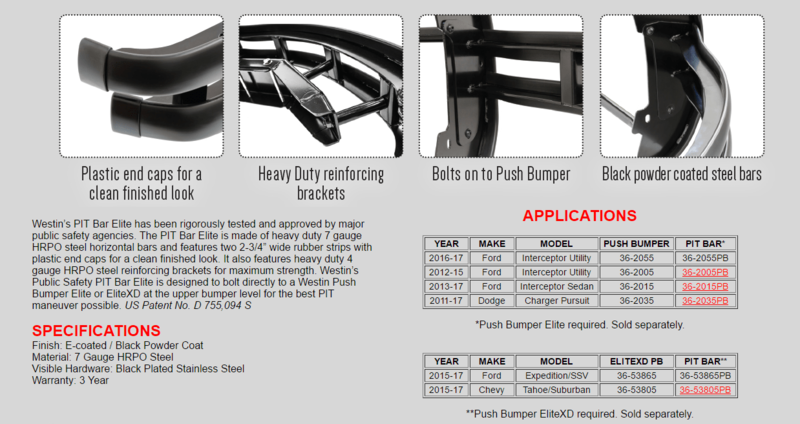 Westin’s Push Bumper Elite is US patent pending. 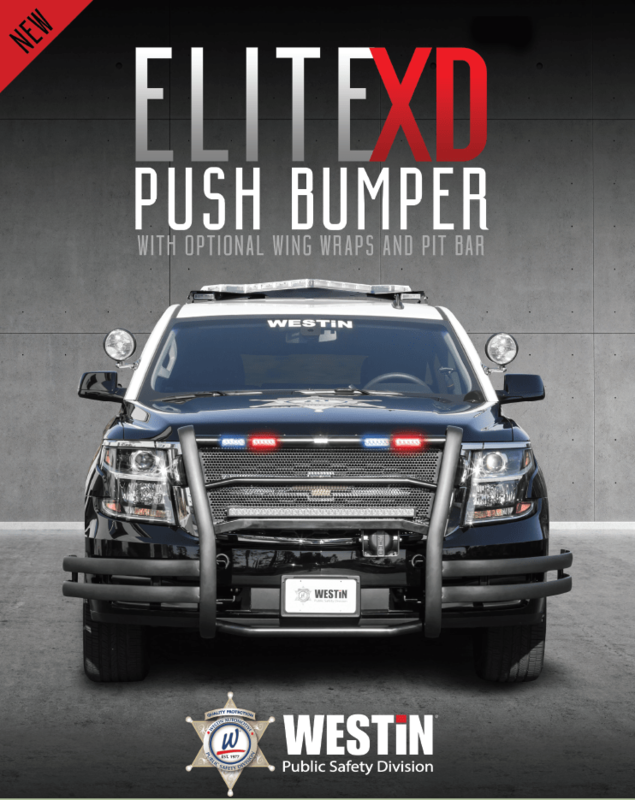 Westin’s Elite Wing Wraps are the final build-on unit in the Elite front-end protection package. 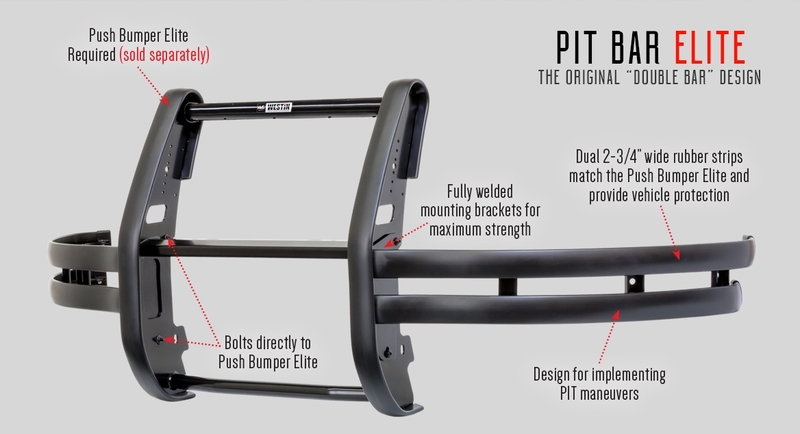 They bring it all together by connecting the pre-drilled Push Bumper and PIT Bar Elite into a one-piece assembly. 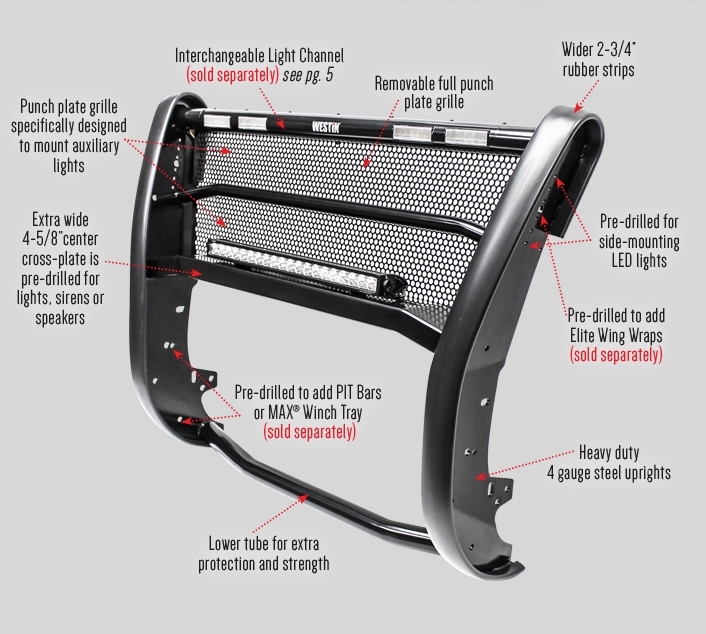 The Elite Wing Wraps provide added front-end and headlight protection. 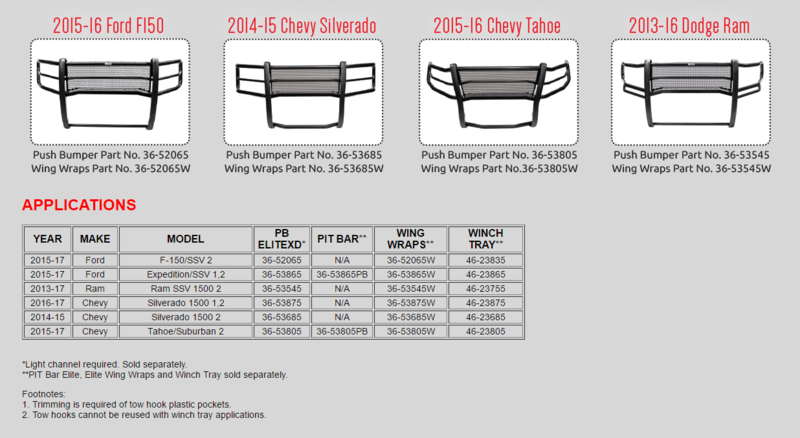 They feature welded cross bars (varies by application) and attach to the Push Bumper with a 7 gauge plate. 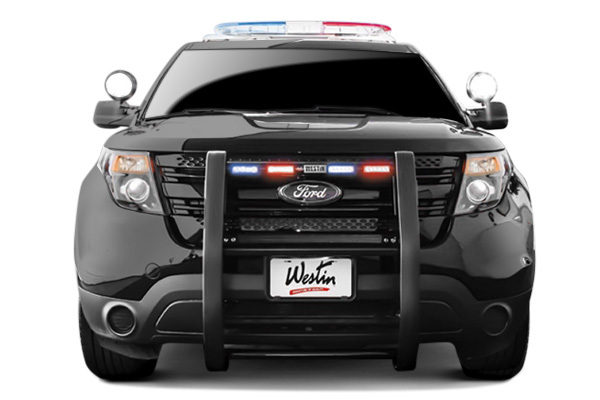 They are also equipped with a 1-1/2” diameter vertical support bar to absorb impact in the event of a collision. US patent pending. Westin offers Light Channel options in solid (no light openings) as well as 2, 3 or 4 light configurations. 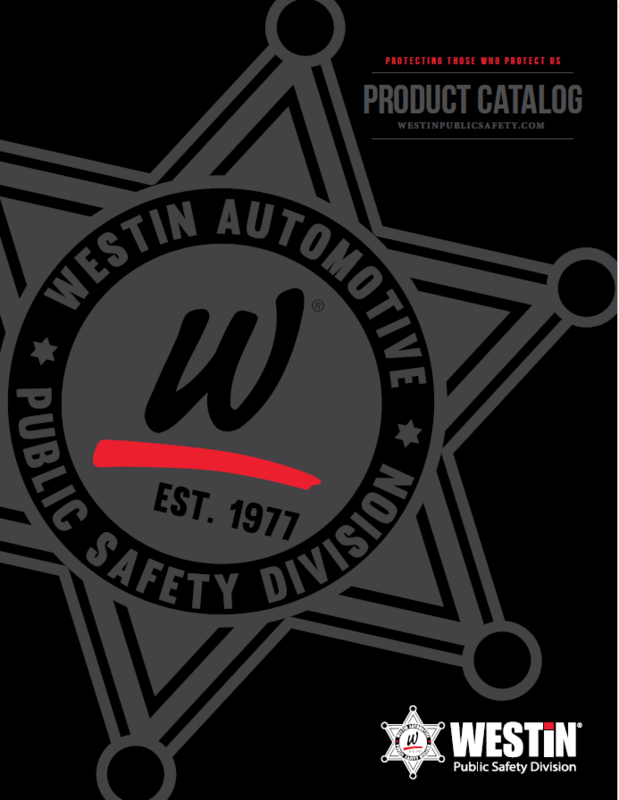 They are designed to fit the industry’s most popular public safety light manufacturers: SoundOff Signal (nForce), Code 3 (T-REX, XT4 and Chase), Federal Signal (IPX6-IMPAXX), and Whelen (ION-SERIES). Light Channels include light specific brackets and hardware. 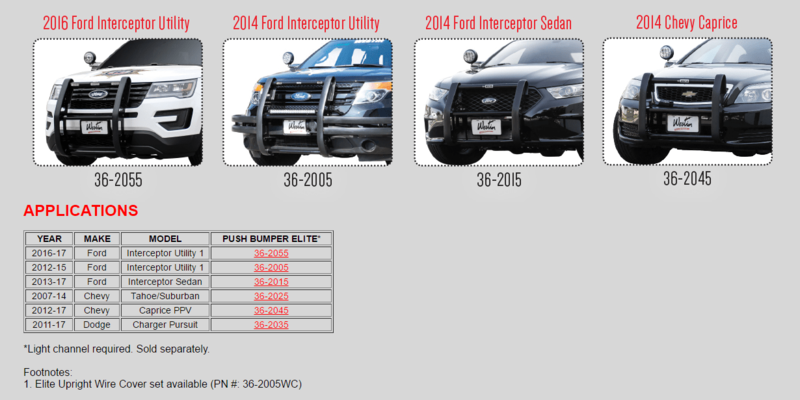 One or more of these Light Channel options are sure to serve your agency’s public safety lighting requirement. 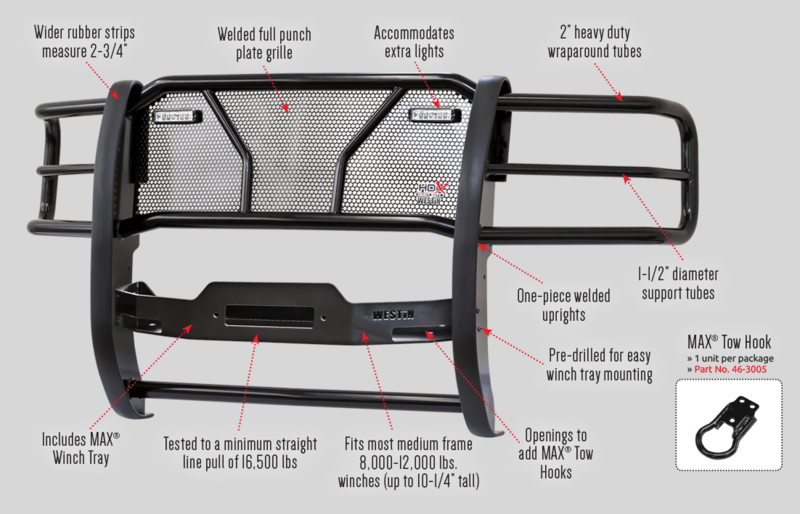 Westin’s HDX® Winch Mount Grille Guard attaches directly to the vehicles frame for maximum strength. 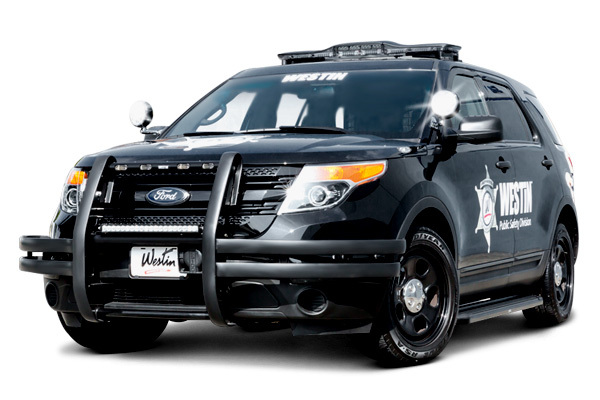 The heavy duty design is ideal for the needs of today’s public safety officer. 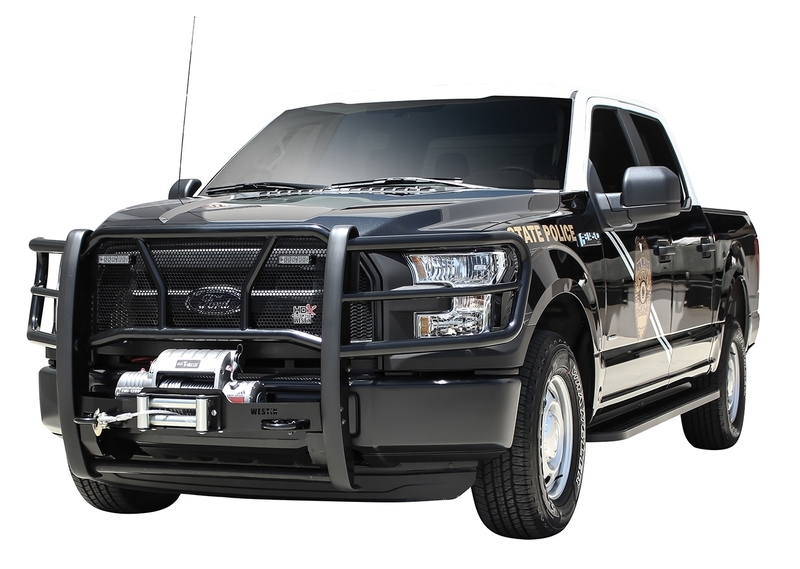 It features welded uprights, 2” wraparound tubes and a full punch plate grille that allow emergency lights to be mounted. 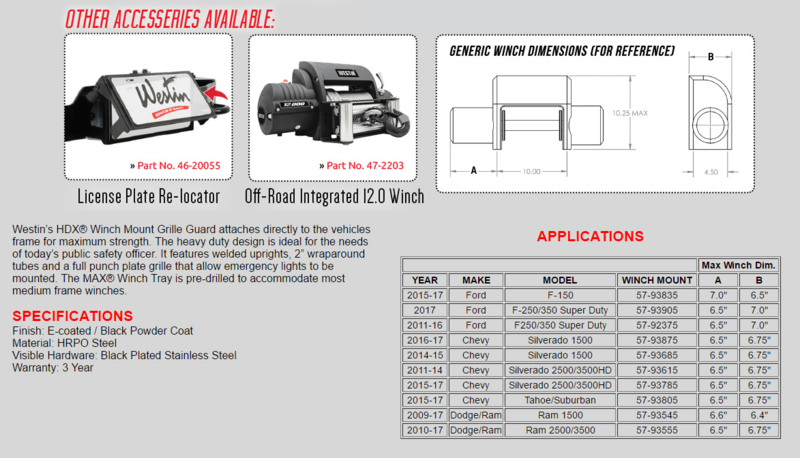 The MAX® Winch Tray is pre-drilled to accommodate most medium frame winches. 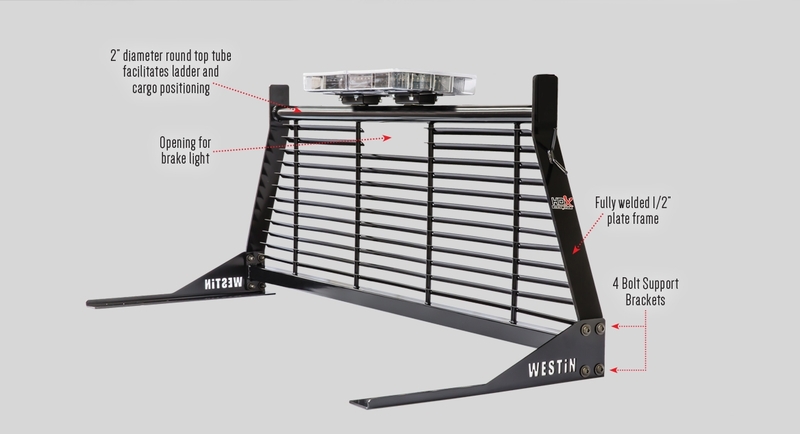 Westin’s Skid Plate is made of heavy duty 10 gauge HRPO steel with the strength to fully protect the under body of the vehicle. 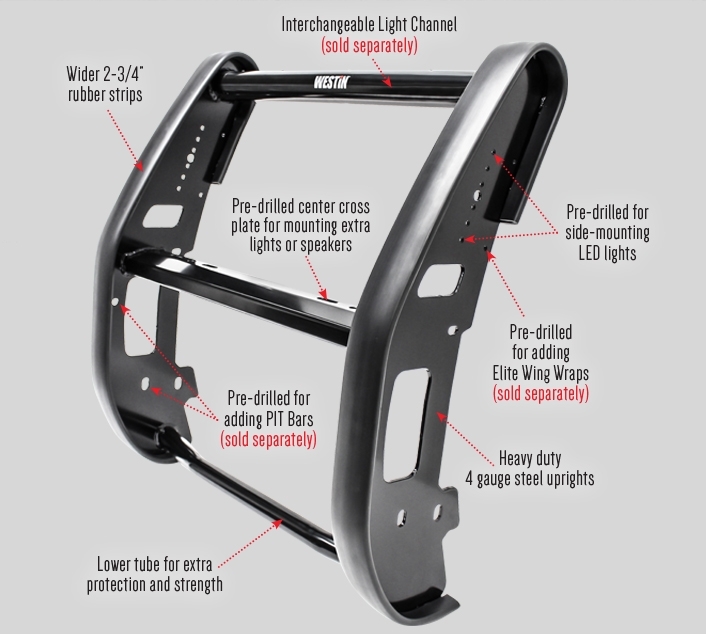 It features extra mount points that add maximum strength while still allowing easy access for oil changes. 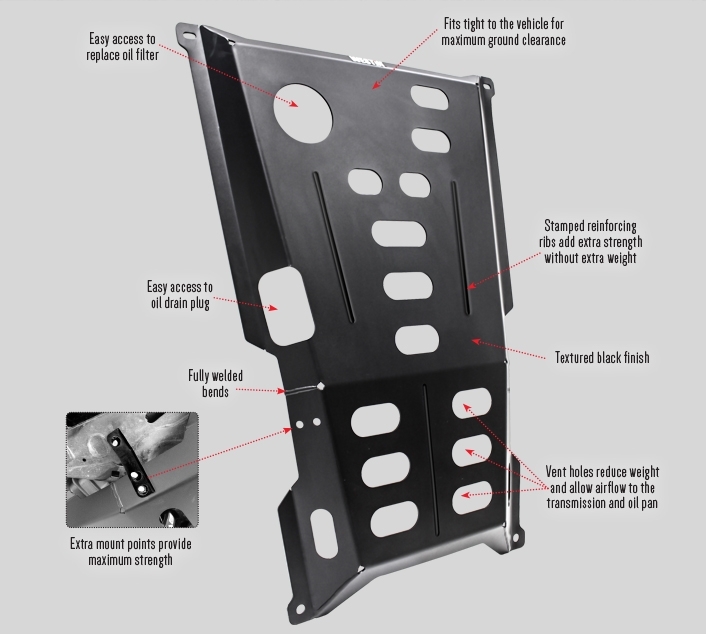 The Skid Plate is a unique design that features vent holes that reduce weight while allowing airflow to the transmission and oil pan. 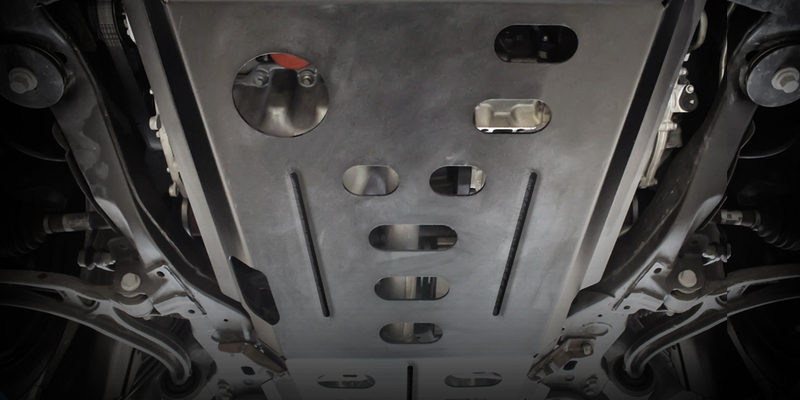 In addition, stamped reinforcing ribs add durability and strength. 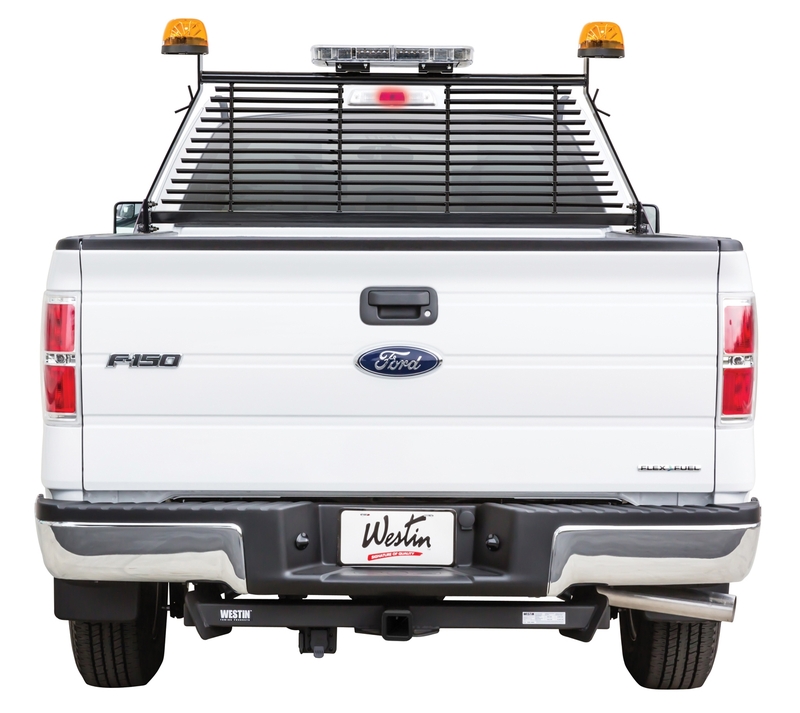 Westin’s HD Headache Rack protects your rear window from potential damage due to load shifting. 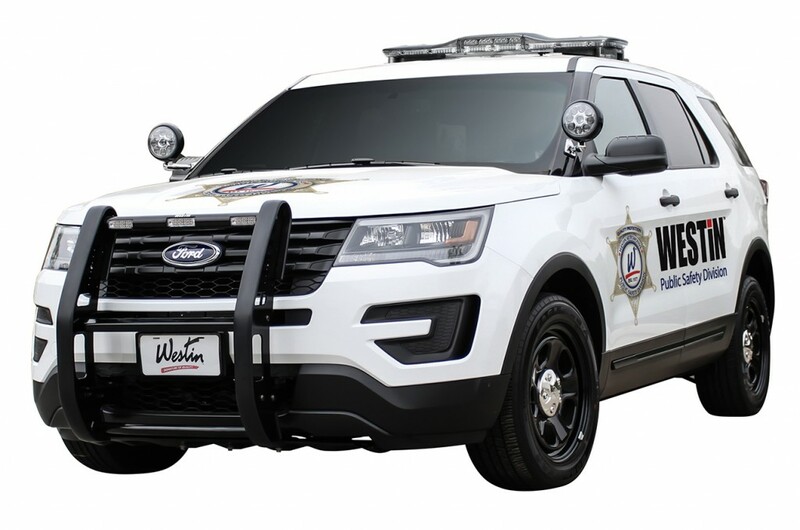 Our unique louvered design keeps harmful sun rays out and protects the interior while giving you unobstructed visibility.